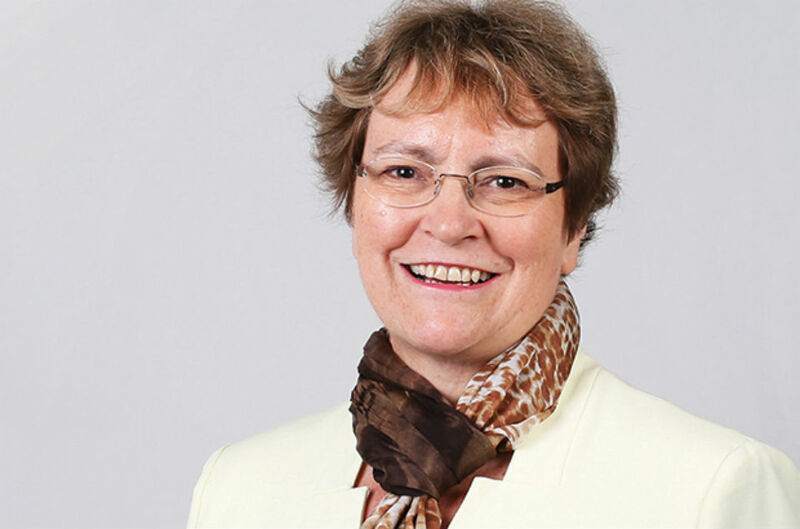 Ursula Brennan joined the Civil Service Fast Stream in 1975 after spending two years working for the Inner London Educational Authority. Her early Civil Service career was spent in the Department for Health and Social Security (now Department for Work and Pensions) working on ‘welfare to work’ and disability benefits. Ursula then went on to take a number of senior roles across Whitehall including Chief Executive of the Office for Criminal Justice Reform and permanent secretary at the Ministry of Defence (MoD). Now retiring as permanent secretary of the Ministry of Justice, Ursula reflects on a 40-year career in the Civil Service and passes on her advice to others. What has been the biggest change to the Civil Service in your 40-year career? The digital revolution. Not in the way we use technology in the office, but as an enabler for us to talk directly with users. It is only the beginning. I believe we are on the cusp of something quite profound: a move from insular policy-making where we try to solve problems on our own to an open and engaged conversation with the user of the services. What was the Civil Service like in the 1970 and 80s? My cohort of fast-streamers was a large and varied intake with a substantial number of women. However, the Civil Service as whole was predominantly male. We used to discuss how this would change over time as younger cohorts worked their way up the ladder. That didn’t happen automatically in the way we thought it would but the Civil Service has changed a lot since then and diversity is now a major priority across all departments. What are your top tips for someone starting his or her career in the Civil Service today? You will have a long career so try different things to keep yourself fresh and interested. Experience what it is like to deliver policy to break any misconceptions about how easy it is to deliver change. You may discover that operational delivery is more fun than you expected. I first applied for the Fast Stream in 1973 but didn’t get an offer, probably because I turned up late to the final interview - don’t do that! When did you start thinking about a long-term career? I was offered a Grade 7 (Band A) job in Social Security - at the time considered second-class to the exciting world of Health policy. It was on promotion so I jumped at the chance and ended up loving it. Although I started on policy work, I got involved in an IT operational delivery project. I found project management very interesting so I made a conscious move into IT. At the time, everyone was saying you need a breadth of experience and this held me in good stead later on in my career. By 1999, I had had a career in policy, IT and operational delivery. This mix was unusual at the time and I think that helped me get my first DG role. What does a job in the Civil Service offer over the private sector? No matter what you do in the public sector, it matters to people. If what we do wasn’t difficult, we wouldn’t be doing it. The Civil Service offers a diversity of jobs, responsibility from the start of your career and an understanding that there is not one single career trajectory. We do not write people off: if they don’t succeed they can try again in a new location or a different set of responsibilities. What key thing have you learnt from an organisation external to the Civil Service? The Department for Environment, Food and Rural Affairs (DEFRA) executive committee spent a morning at Unilever (courtesy of the Whitehall & Industry Group). The Chief Executive explained that, after every item their Board discusses, they ask themselves ‘have we made the issue simpler or more complicated?’ There is a tendency for senior people who deal with high levels of complexity to make things more complicated. However, it is a leader's job to bring clarity for those people in the organisation who have to deliver the solution. While I was at the MoD, I oversaw a review of military aviation safety and then sponsored a new safety regime that I believe has made a practical difference to the safety of military personnel. What is the most innovative thing you’ve seen in the Civil Service? I was at the MoD when the war in Afghanistan was at its peak. The MoD engineers (civil servants) were developing on a weekly basis innovation in armoured vehicles, improving both the levels of protection offered and keeping the weight down so the vehicles could still move at speed. What things will you miss and not miss from your daily work? I will not miss the Friday afternoon call about an article in the Sunday press. I will not miss the still proliferating quantity of things we are required to report on for other people. I will miss the people and the spirit of working in a team focused on improving services for the public. What are your lasting images of your career? My trips to Afghanistan including trying to sleep in the back of a Hercules and running out of a helicopter in full body armour. And, while at DEFRA, I spent a late summer afternoon on Dartmoor hawking. I’d spent the day learning about the poisoning of protected birds of prey and ended by watching beautiful red marlins in flight. Quite a contrast. What’s next for the Civil Service? I believe the Civil Service will continue to get smaller as we become less a doer and more a commissioner. We will create platforms that support people to solve their own problems. However, our fundamental job of accountability to Parliament will remain. What’s next for you? What will your first day after retiring look like? Getting-up later, not listening to the Today Programme, spending time on some charitable commitments, going for a long walk and then sitting down to make something. I’m a frustrated crafter - be it sewing, embroidery or learning a new skill like pattern cutting. I’ll be keeping myself busy.